All too often, the common misconception is that eating healthy costs an arm and a leg. It can, no doubt, if you’re buying your health items at specialist health stores which more often than not stocks imported brands, or you’re buying the prepared veggie packets, rather than going to a fruit and veg market. Your grocery bill can add up. Besides the gathering of healthy groceries, most people opt for the easy option and just rather buy fast food for supper. The result of our fast food nation is soaring numbers of obesity among adults and children. South Africa has the highest overweight and obesity rate in sub-Saharan Africa, with up to 70% of women and a third of men being classified as overweight or obese. Our kids are the 3rd fattest in the world. So it’s imperative now more than ever for South Africans to adopt better eating habits and tight budgets cannot be an excuse not to. We are literally killing ourselves with food. One of the biggest fast food loving countries, the United States has made obesity a national priority, with First Lady Michelle Obama spearheading a campaign called “Let’s Move”. The initiative is specifically targeted at children, attacking their growing obesity problem at a young age. I was lucky enough to interview, Senior Policy Advisor for Nutrition Policy and Executive Director for First Lady Michelle Obama’s Let’s Move! 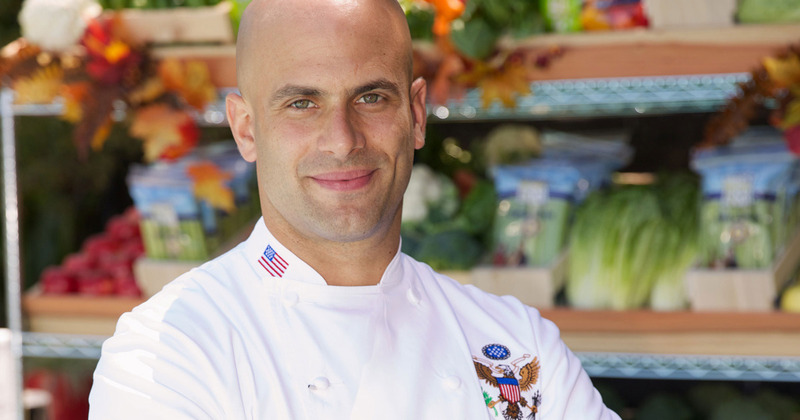 Campaign – Sam Kass. He was in South Africa as one of the speakers at the Discovery Vitality Summit. Before his lengthy job title above, Kass was the official White House chef. Wardah: I think the first question people will want to know is, what does President Barack Obama have for breakfast? Sam: lol! He likes his oats in the morning, and maybe some eggs. Wardah: Where do people get started if they want to eat healthier? Sam: The first message would be – cook, because even if you’re doing it poorly, chances are you are probably making it better than what you would get in a restaurant/fast food place. Wardah: But surely, there are certain methods of cooking that are better than others? Sam: The basic techniques of roasting, I roast pretty much everything now, like vegetables, chicken, meat, I throw it all in the oven on a really high heat, so it gets some good colour on it. For vegetables, my go-to is to put some oil on it, a little salt, and I’ll cut a couple lemons in half and roast them, because it makes the flavour of the lemons intense. Squeeze it on top, there you go! Wardah: For those who can’t cook that well, will watching cooking shows help? Sam: Try and make it easy on yourself, don’t watch crazy cooking shows and think, that’s what you have to do to be a good cook. Simple, tasty meals are the way to go. Wardah: If you’re on a budget, what are the essentials you would need to focus on having in your pantry in order to eat healthier? Sam: If you’re on a budget and you want to eat healthy, your vegetables and whole grains are going to be a good foundation, because proteins are more expensive. Now, I could do some brown rice or different grains cooked up kinda like a risotto, with some vegetables on top, and fry an egg over easy and that’s a tasty meal! Really healthy, lots of protein. Wardah: What would you say is the most affordable protein to buy? Sam: Eggs are a great way to add protein, chefs in the States are adding a poached or fried egg on just about everything. It’s a great way to add protein really affordably. The other option, is chicken is going to be your cheapest, healthiest, most sustainable protein after eggs. Sam: Rice and beans gives you a full protein when you eat them together. 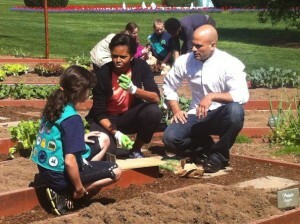 Wardah: You worked with the First Lady to change the mind set of Americans about nutrition and health? What was your strategy in changing people’s mind set? Sam: You have to make it (health messages) accessible and achievable. People don’t generally make whole sale changes, you have to help people take those first few steps, and once they do, and they start feeling better, and that’ll lead them to want to do more. Wardah: Your final tips for people looking to make some healthier choices? Sam: One thing, is to get the whole family on board to make a few changes. Second thing is, I would cook one more meal a week. One place to start is to stop drinking sugary drinks, drink one sugary drink a week. P.S. 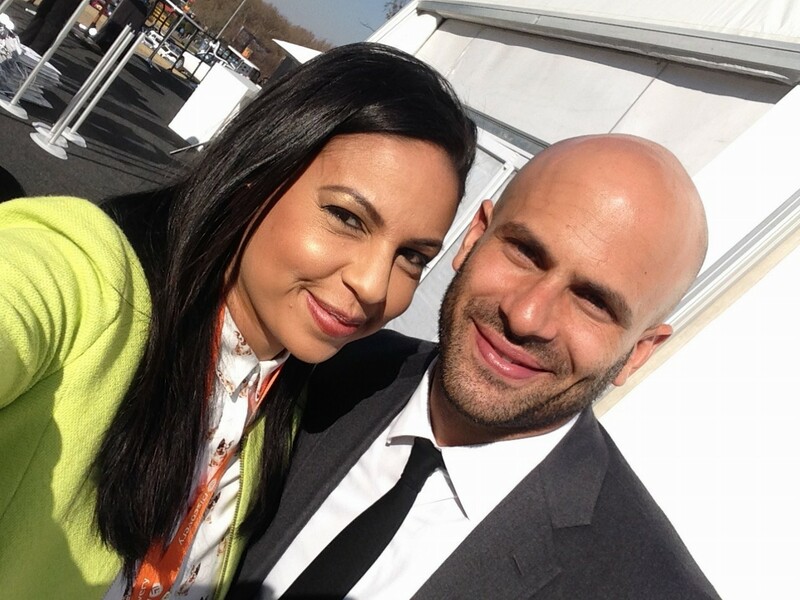 During Kass’s talk at the Vitality Summit, he mentioned that the Obamas only eat dessert on the weekends – another great habit we should all embrace!